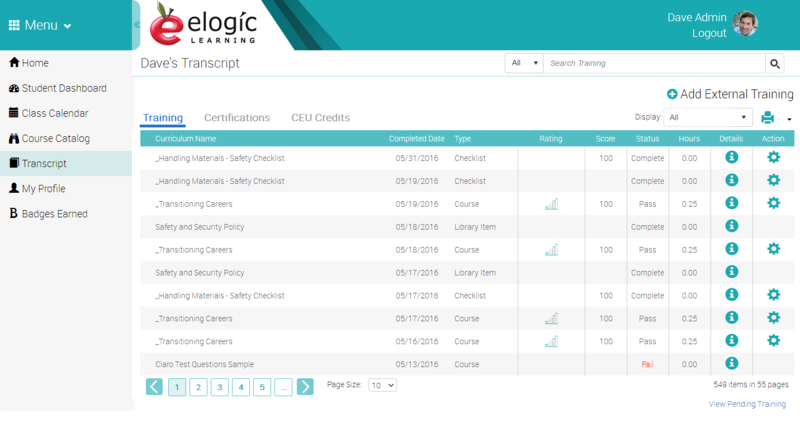 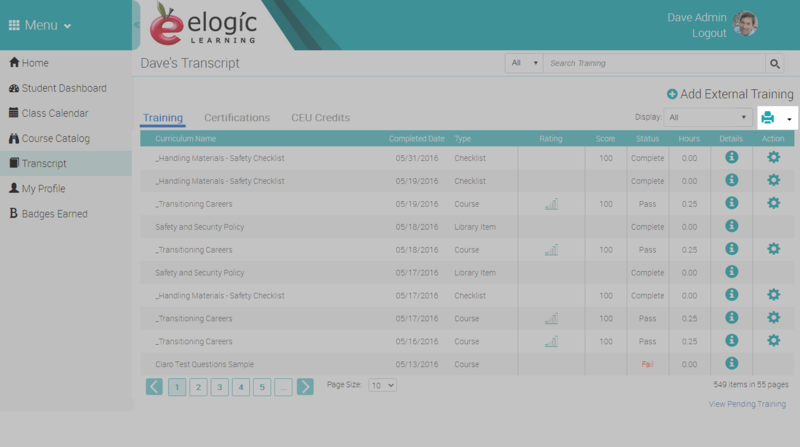 With the “My Transcript” feature, eSSential LMS users have a consolidated view of their complete training history. Any aspect of the transcript record can be edited, including: Status, Score, Completion Date, Due Date, etc. 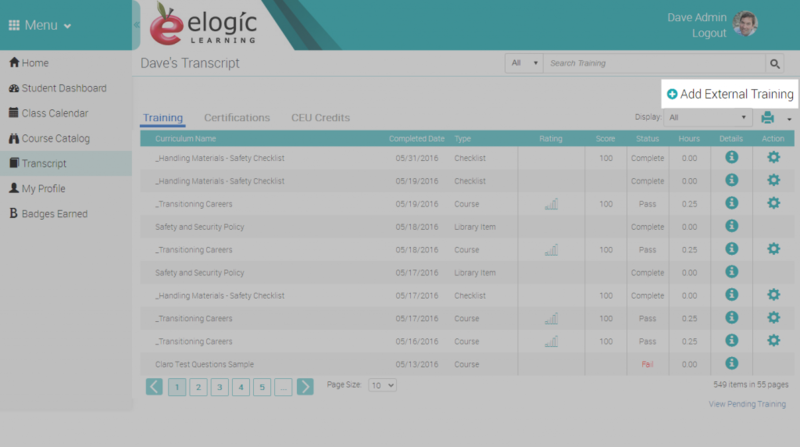 Full edit history is tracked, including: Who performed the edit, when it was performed, what the old value was and what the new value is, etc.